One of the biggest benefits to a work from home business is that you need to reinvest very little of your profits back into the business. 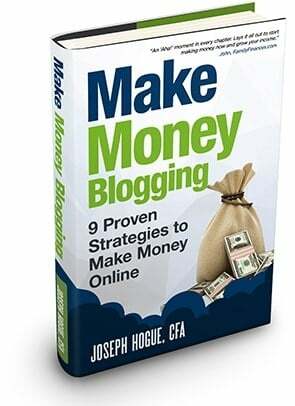 Most of the business ideas in our How to Make Money Directory require only your time to keep them going. Compare that with a traditional small business that needs to pay employees, buy and maintain equipment and rent space and it’s easy to see why most small business owners have almost nothing left after putting money back into their business. But that doesn’t mean your work from home gig can’t grow even faster if you put a little money back into it. I put about 15% of my monthly profits back into my home-based business, mostly through marketing and a few virtual assistant tasks. How can you decide how much to reinvest in your business? Check out the three simple rules below and some of the ways to help grow your business! Once you are earning enough on your small business to pay your personal bills, the decision to reinvest profits becomes a question of where you’ll get the best return on your money. While your business may be a great source of income, wouldn’t it be nice to build a source of passive income so you would eventually be able to just sit back and relax? For most people, this means putting together a portfolio of stocks and other assets. The great thing about investing is that the sooner you start, the less you need to invest regularly to really start seeing your nest egg grow. Stocks have returned around 7% over the long-run with bonds providing a 4% return but with less risk. That’s probably going to be less than the return you’ll get on some of the ways to reinvest in your business but remember, you don’t have to do anything to make money in stocks. Putting some of your business profits in stocks will slowly build a passive income stream. Putting money back into your business may help grow future profits but you’ll still have to take time to run the business. Not sure how to get started investing? Check out this investing by age series for a step-by-step approach. Rule #1 to Reinvesting Profits Back into Your Business: Putting some of your business profits in an investment portfolio will help balance passive income while you keep active. 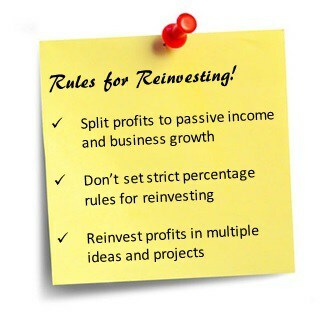 I’ve seen articles advising small business owners to reinvest as much as 50% of the profits back into the business. That seems to be a bit higher than the consensus which seems to be around a third of the profits reinvested. Instead of some arbitrary number, consider your own goals for the business. Why did you start your work from home business? Was it to work less eventually or because you have a passion for the work? Do you want to see it grow into a mega-money empire or do you just want to make enough to live comfortably? There’s nothing wrong with wanting to work less. If you just want to grow your work from home business to a certain point to pay the bills, take a more modest approach to spending. Understanding why and where to reinvest profits starts with understanding where your expenses and finances are in the first place. Check out this post on easy accounting for small business owners to organize your business finances to see where the opportunities can be found. The ideas below to reinvest in your home-based business will get you started but make a list of business spending. Put all your required expenses like web hosting on top and then list out other spending. 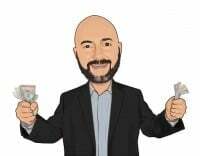 I would recommend reinvesting at least 10% of your profits back into the business each year but it’s really up to you how much you put back in. Try spending around a special project or two to see how it works first before devoting to a monthly expense. Rule #2 for Reinvesting Money Back into Your Business: Don’t let arbitrary percentage rules determine how much to reinvest. There’s no limit to the number of ways you can reinvest in your home-based business. Here are a few of my favorite ways to help grow a business. Invest in yourself with courses and books. For web-based businesses, learn how search engine optimization (SEO) works or ways to build revenue streams through video courses on Udemy. Courses start at just $20 and include hours of video. Conferences can be a great vacation and a way to network. Working from home can be a little lonely at times. Join a blogger group and find an annual conference related to the topic. Buy other websites or businesses. 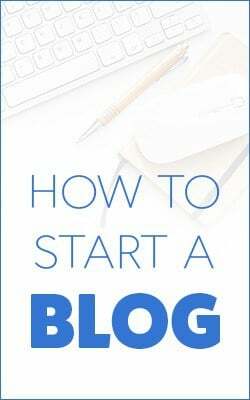 Websites or other blogs can be a great way to promote your products and are actually pretty cheap to buy. 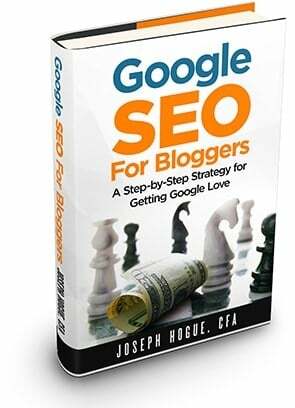 I bought one site earlier this year that gets more than 5,000 visitors per month. The price, just $500. You’re spending upwards of 60 hours a week on your computer, shouldn’t you spend a little to upgrade your tech? Think of the time you’ll save by having a faster computer or another screen to work on. Don’t forget to protect your computer and home-based business with virus protection. I use AVG Technologies because they offer a great bundle package for protection and to speed up my computer. Finding software and apps that make my job easier has been a huge help. Why spend hours scheduling all your social media posts when you can do it all in minutes on Hootsuite Pro? The money you spend each month is well worth the time saved. Hiring a Virtual Assistant on Fiverr to let you concentrate on your value-added work like writing or selling. 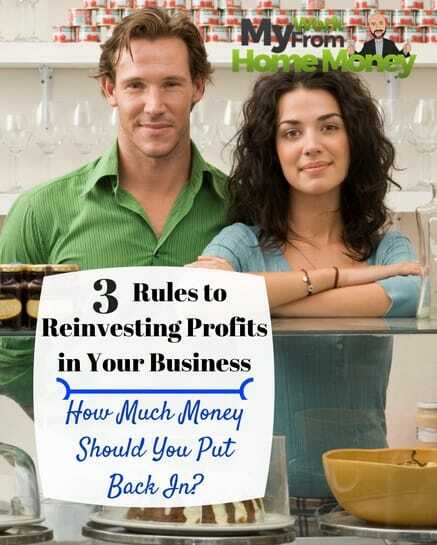 Rule #3 for Putting Profits Back into Your Small Business: Take advantage of multiple ways to reinvest and grow your work from home business empire! Don’t feel obligated to meet some percentage of profits reinvested or an amount to put back into your business each month. Keeping rigidly to a percentage or amount target will mean you miss out on some opportunities and spend too much on others. I won’t bore you with trying to calculate your Return on Investment (ROI) for reinvested profits or project ideas. You should have an idea of how much a project will help grow the business and the payoff but some ideas just can’t be quantified. One thing to remember when reinvesting in projects is don’t be afraid to spend a lot on one project and don’t overspend on small projects just because they are cheap. Always ask yourself how this is going to help your business grow and how the costs-benefits compare to other projects. Making a business plan should be the first thing you do and will help you prioritize your goals when it comes to reinvesting in projects. A business plan will help organize your ideas and see where your competitive advantage is to exploit with spending and projects. If you have to plan on a set amount to reinvest, do it on an annual basis. It’s important to commit to reinvesting some profits to make sure you are giving your business the opportunity to grow and avoid falling behind the competition. Don’t forget about the tax benefits to putting money back into your business. Any money you reinvest is considered a business expense and you won’t have to pay income taxes on it. Business expenses can include short-term projects, advertising or even buying long-term assets like computers and vehicles. The tax deduction on these long-term assets will be taken over several years rather than all at once but can be a great way to make your business more efficient and productive. How much you reinvest in your business is up to you but don’t overlook some of the benefits to growing your work from home gig. Use these three rules to putting money back in your small business but don’t feel like you have to put any more or less than what someone else says.